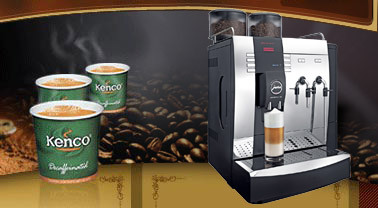 The Koro is a cost effective, small and easy use bean to cup coffee machine that is ideal for a small office, meeting room or even bar. The machine uses a granulated milk to create the milk based coffees such as cappuccino and latte which makes it much easier to clean and maintain than systems that use fresh milk. The Koro can be manually filled with water or connected up to your mains water supply. Obviously plumbing the machine in takes away the hassle of having to fill it with water every so often. The manually filled version comes with a Britta water filter to maintain a good quality of drink. Alternatively if we plumb your Koro in we will fit a larger commercial water filter in order to reduce problems caused by lime scale build up. It is worth noting that the two versions of this machine are not interchangeable. In other words you can�t plumb in the manually filled version and you can�t manually fill the plumbed in machine. The Koro features a cleaning cycle that is activated with just the touch of a button and doesn�t require any specialist cleaning products. This makes it much easier to live with on a day to day basis than one of our systems that use fresh milk. 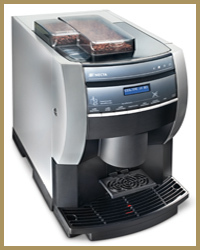 In addition making a drink couldn�t be simpler with just a touch of a button. If you don�t have a member of staff that is willing to run the cleaning cycles every day required of a machine using real milk then the Koro is a great alternative for proper bean to cup coffee. 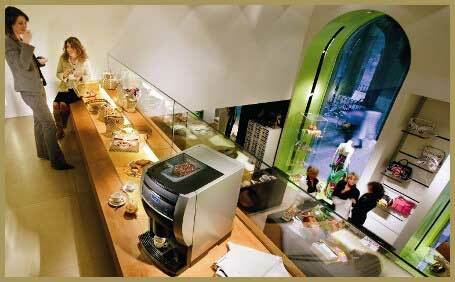 Easy to use and maintain it will suit a great many different locations. 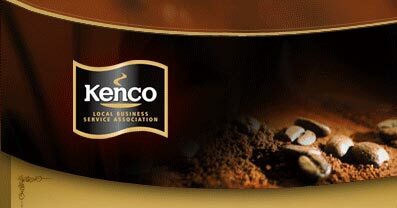 Kenco Local Business Service supply and service this machine across Greater London, Berkshire, Hertfordshire and Buckinghamshire. If you are based in any of the towns in this region such as High Wycombe, St Albans, Hemel Hempstead or Hatfield then please allow us to show you how we can be your great value, reliable and local supplier.